YMCA Youth & Government is a national program of the Y that involves thousands of teens nationwide in state-organized, model-government programs. Students from every corner of the U.S. have the opportunity to immerse themselves in experiential civic engagement and to, quite literally, practice democracy. Teens from across every state meet in their local Youth in Government groups throughout the year to discuss and debate issues that affect citizens of their state and to propose legislation. The program culminates with teens serving as delegates at their state conference, debating bills on the floor of the legislature. 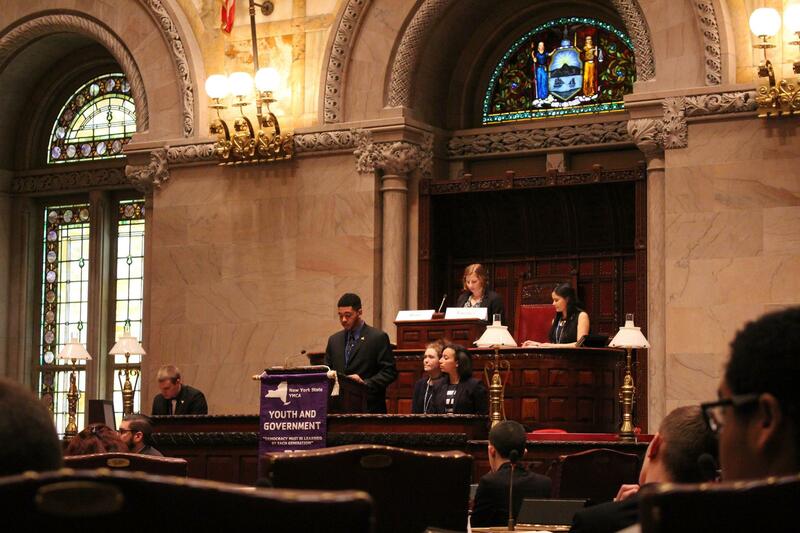 New York State YMCA Youth & Government provides the education, the problem-solving experience, and the social arena for New York’s future leaders to develop and strengthen their skills and confidence to better serve their communities.